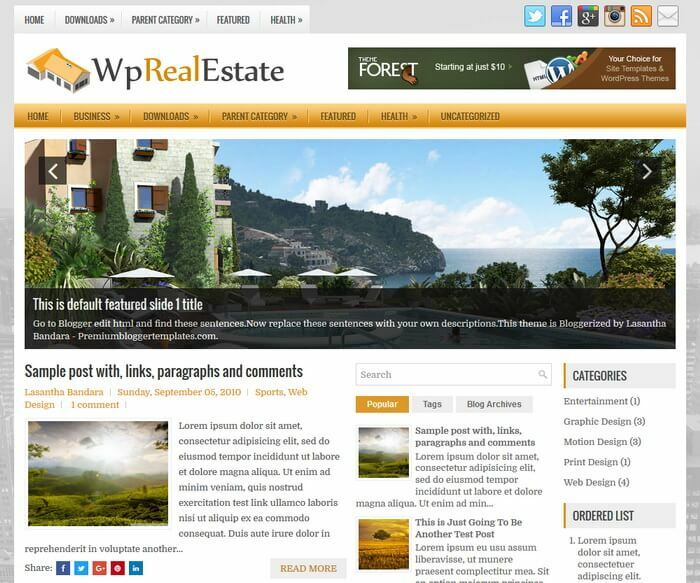 WpRealEstate is a Responsive, 3 Columns Blogger Template with 2 Right Sidebars and 3 Columns Footer. 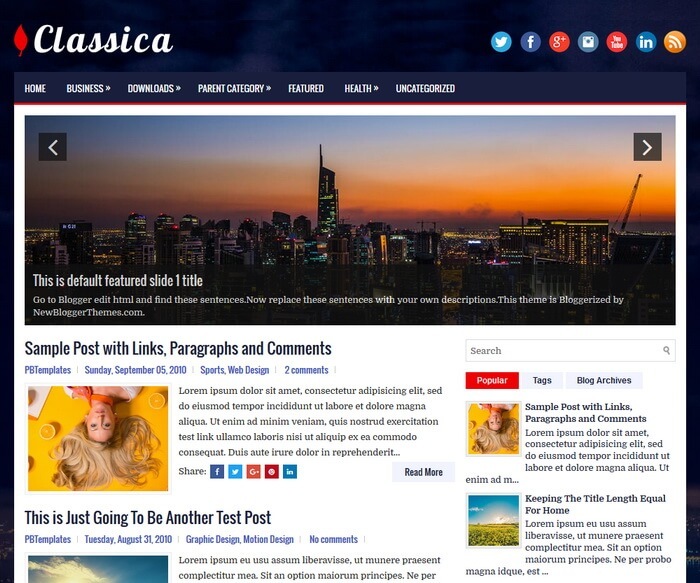 WpRealEstate Blogger Template has a Slider, 2 Dropdown Menus, 468x60 Header Banner, Related Posts, Breadcrumb, Social and Share Buttons, Google Fonts, Tabbed Widget and More Features. 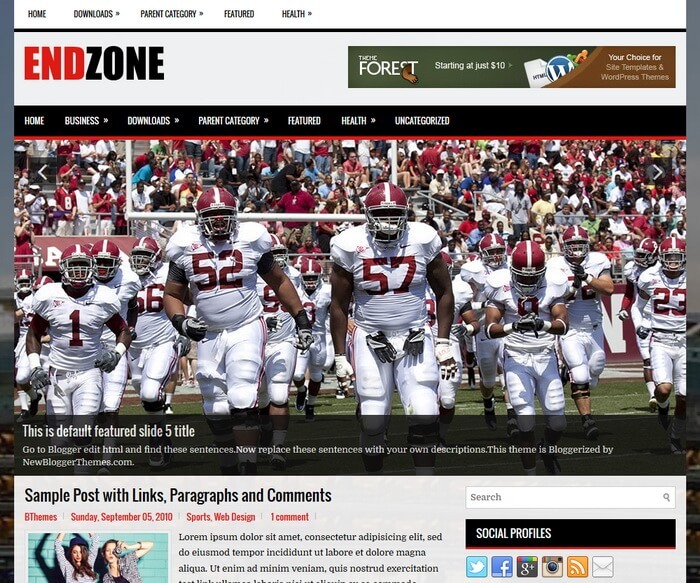 EndZone is free and elegant looking, fully responsive, 2 columns, blogger theme with a right sidebar and 3 columns footer. EndZone Blogger template has easy to use slider, 2 navigation menus, auto post summaries, social and post share buttons, header banner, related posts with thumbnails and more. 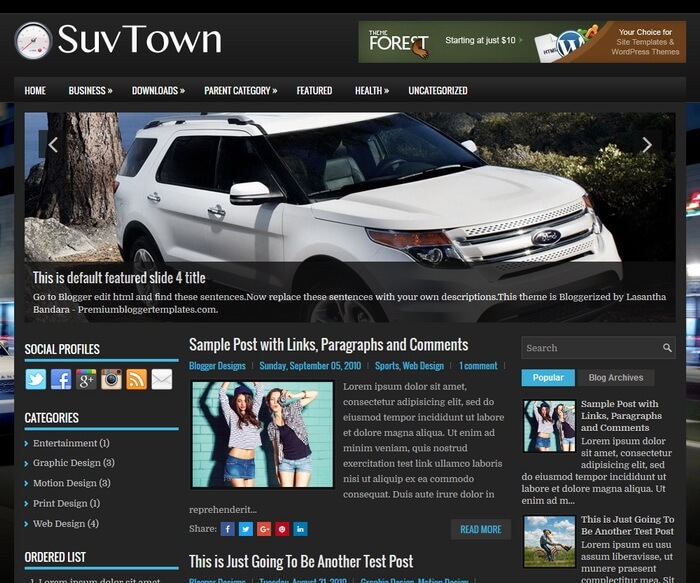 SuvTown is a free blogger template with features such as 2 Sidebars, 3 Columns, 3 Columns Footer, Adapted from WordPress, Auto, Black, Blue, Breadcrumb, Elegant, Featured Section, Responsive, Header Banner, HTML5, Left Sidebar, Magazine, Mobile Friendly, Premium, Related Posts with Thumbnails, Right Sidebar, Slider, Share Buttons, Social Buttons, Tabbed widget, Top Navigation Menu. 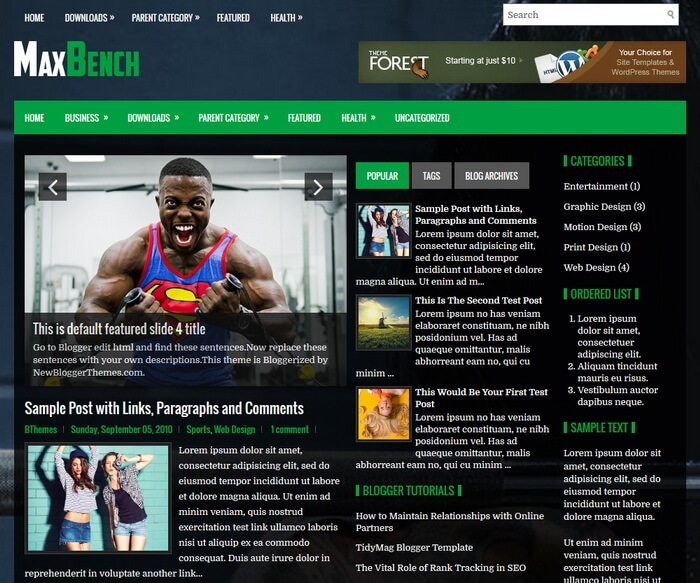 MaxBench is a beautiful, 100% responsive, 3 columns blogger theme for weightlifting or fitness websites. MaxBench Blogger template has a mobile friendly slider, 2 right sidebars, 2 navigation menus, auto post summaries, social and post share buttons, header widget, related posts with thumbnails and more. 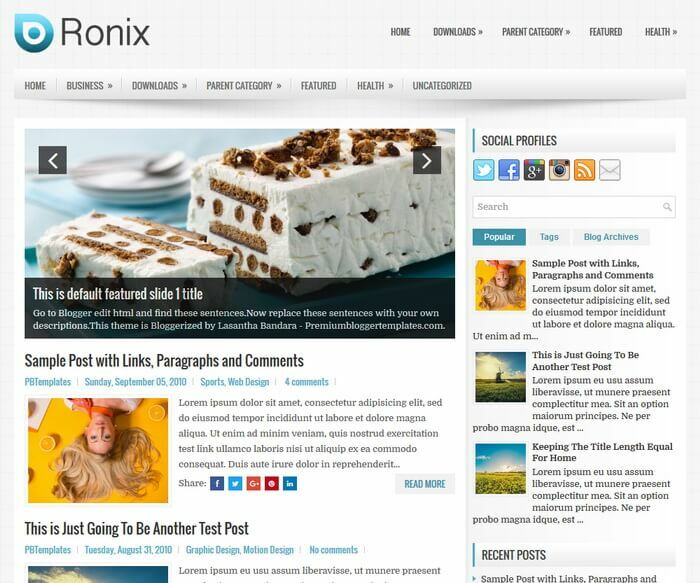 Ronix is a Clean and Responsive, 2 Columns Blogger Template for General/Blog Websites. Ronix Blogger Template has a Slider, 2 Dropdown Menus, Related Posts, Breadcrumb, Social and Share Buttons, Right Sidebar, 3 Columns Footer, Tabbed Widget, Auto Post Summaries and More Features. 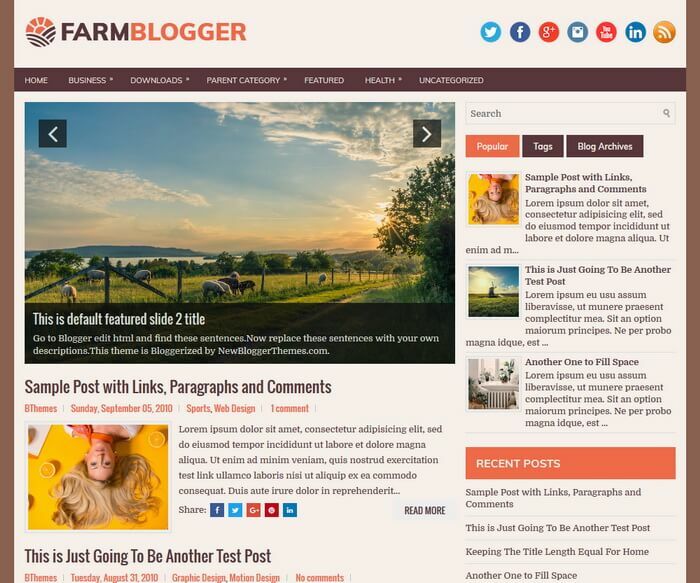 FarmBlogger is a responsive, 2 columns blogger theme for a farm, ranch or agricultural website. FarmBlogger Blogger template has a mobile friendly slider, primary navigation menu, right sidebar, 3 columns footer, web fonts, share and social icons, related posts with thumbnails, auto post summaries and more.